Uncork the wines, villages and rich history of Cyprus on this full-day trip from Paphos and Limassol. With an informative guide, see the ancient theater at Kourion and medieval Kolossi Castle, whose sugarcane production was key to the making of Cyprus’ beloved Commandaria dessert wine. Explore the picture-postcard villages of Monagri and Omodos and enjoy tastings of wine and olive bread as you go. Free time for lunch (own expense) and a visit to a wine museum to chart the history of the island’s wines provide the final ingredients. 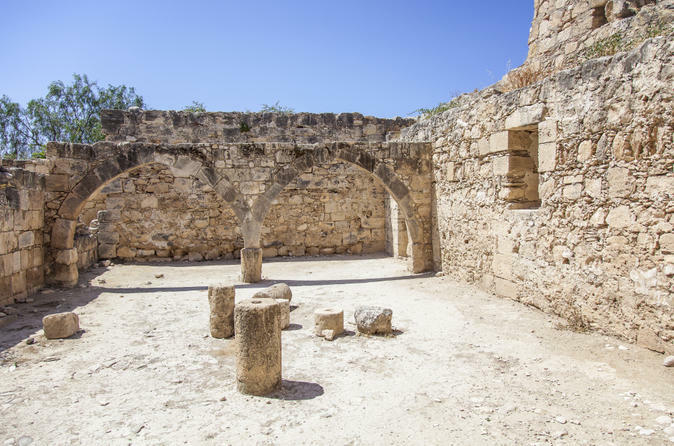 Take a fascinating journey to Famagusta and Salamis in Turkish-occupied Northern Cyprus on this day trip from Paphos and Limassol. 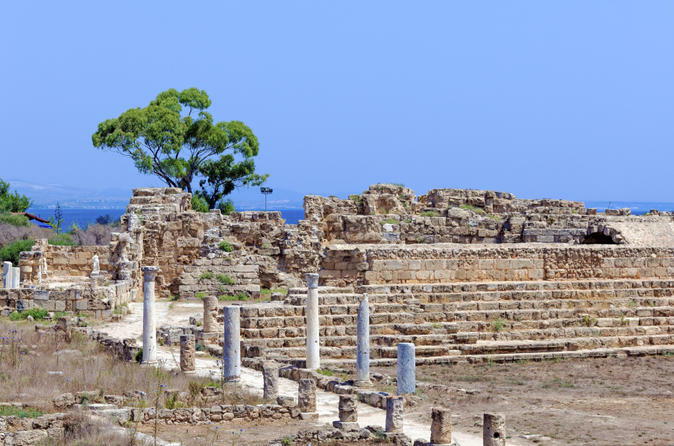 Cross the border from Greek southern Cyprus and explore the ancient seaside ruins of Salamis. Perhaps swim from a beach before heading for Famagusta, a tourist hotspot before Cyprus’ division in 1974. After time for lunch (own expense), visit its medieval walled quarter to see Othello’s Tower and St Nicholas’ Cathedral. Finish with poignant views of Famagusta’s ‘ghost town’ of beach hotels, abandoned when the Greeks were forced to leave in 1974. Dip into the scenery, culture and history of Turkish-occupied Northern Cyprus on this full-day trip from Paphos and Limassol. Travel by coach to the island’s divided capital of Nicosia and cross the famous 'Green Line' buffer zone into the occupied north. Explore two of its showpieces, with a guided tour of ruined Bellapais Abbey and time in the mountain-backed seaside town of Kyrenia, home to a beautiful harbor and Venetian castle. Visit the fortress and enjoy free time for lunch (own expense) and shopping along its charming harbor front and streets. Discover Cyprus’ divided capital of Nicosia and experience both its Greek and Turkish areas on this full-day trip from Paphos and Limassol. 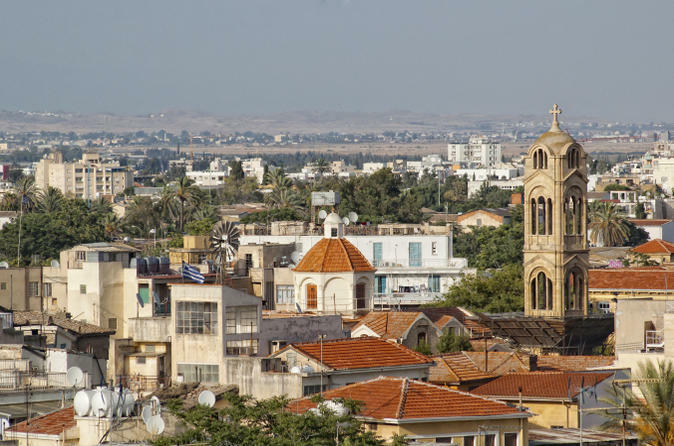 Head into Nicosia’s walled old city to visit fresco-painted St John’s Cathedral and the Leventis Municipal Museum, and enjoy free time for lunch and shopping in the lively lanes and streets. Then, cross the empty ‘Green Line’ UN buffer zone into the occupied part of north Nicosia to sample its distinctly different atmosphere and see its bustling Büyük Han and Selimiye Mosque, once St Sophia Cathedral. Great for history and culture buffs. Troodos and Kykkas tours, Where nature meets with history. 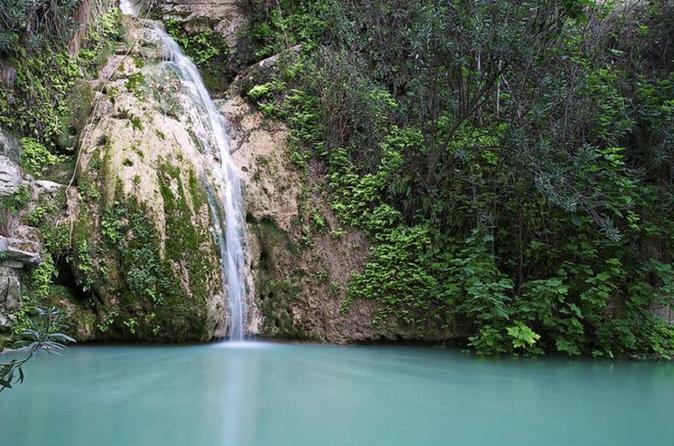 Enjoy a day trip from Paphos at 08.30am. The tour is run in either English or Russian. 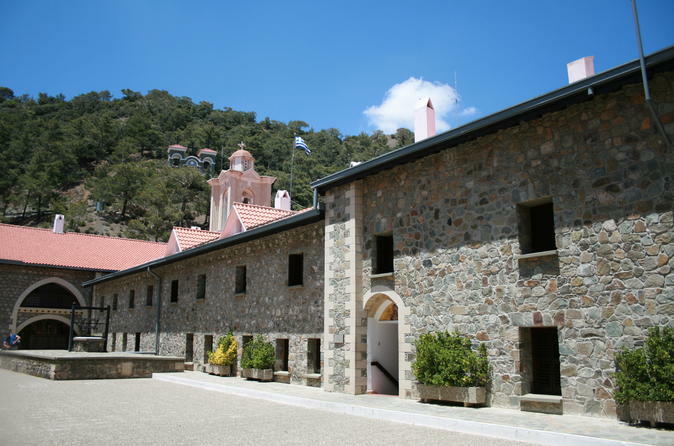 You will visit Panayia, Chrysoroyiatissa, Kykkos, Prodromos, Troodos, Omodos. 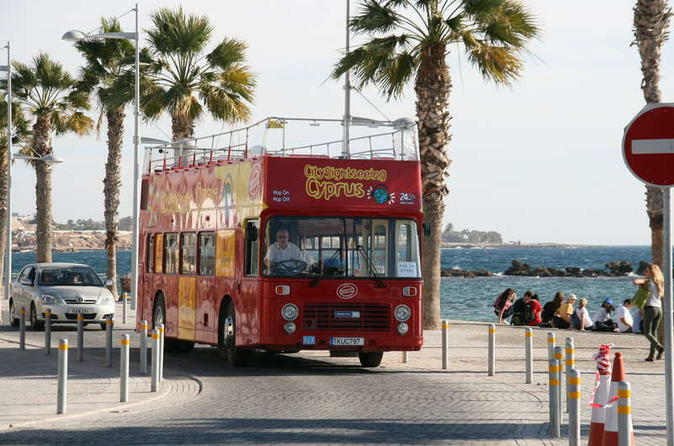 Explore Paphos, the vibrant Cyprus coastal town, at leisure on this must-do City Sightseeing hop-on hop-off bus tour! As you travel around town on board an open-top, double-decker bus, create your own itinerary, hopping off whenever you like. See several of Paphos’ stately sights including St Paul’s Pillar and the medieval harbor area – a popular spot for watersports – as well as lesser-known gems such as Fabrica Hill. Hop on and off at the 11 stops around town for 24 hours of sightseeing! Holiday on an island coveted, won and lost by countless civilizations over the centuries. A place where the first traces of civilization date back more than 9,000 years. 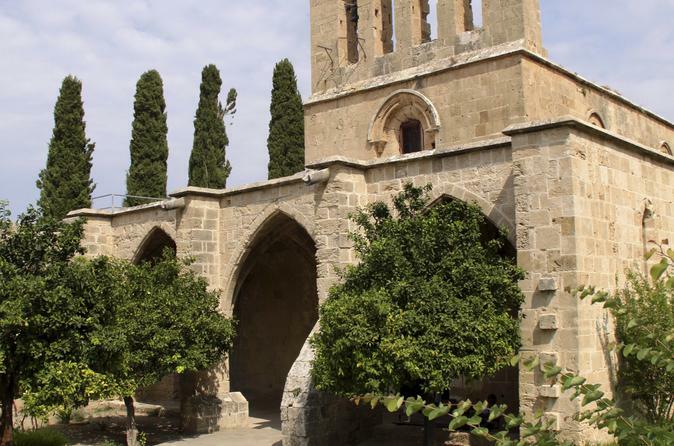 Discover tradition and culture with an 8-hour guided of Paphos and its villages. Wander through layers of history, culture and mythology as you learn all about her birth, mythology, character, and the rituals connected with her cult, as well as the plants and seashells she is associated with.